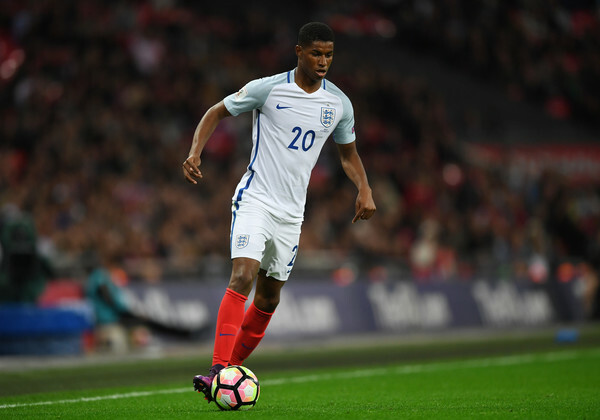 HomeMan UnitedHow Did Manchester United Players Fare This Weekend On International Duty? How Did Manchester United Players Fare This Weekend On International Duty? It is time to check on Manchester United players and everything they have done during the weekend, playing for their national sides. This was the match fans were talking about the most. It made sense, as played England, but also because there were Man United players playing for both sides. Gareth Southgate started three Manchester United players – Luke Shaw was the left wingback, Jesse Lingard was part of the midfield three, while Marcus Rashford played upfront alongside Harry Kane. For Spain, David De Gea was in goal, as it was expected. It was a bad game for Luke Shaw. He had to be substituted after 54 minutes, when he injured his head, after falling down to the ground in a very unpleasant manner. Shaw later on tweeted he is okay, but his injury looked really bad. Apart from that, Shaw’s performance would have been very positive, as he was the one assisting Man United teammate Marcus Rashford for the lead. However, Spaniards turned things around with goals from Saul Niguez and Rodrigo. Manchester United could have also watched their new signing in a match that started between Saturday and Sunday BST time. Fred was part of Brazil’s starting XI against USA in a 2-0 win for the South American side. He was part of a 4-2-3-1/4-3-3 formation, playing alongside Casemiro and Phillipe Coutinho in that central midfield. Fred did pretty well against a young USA team, in a match where they did not truly threaten the Brazilians. Goals came through Neymar and Roberto Firmino and Fred played for the first 60 minutes, before Barcelona’s Arthur replaced him. This was already the second match for France in UEFA Nations League, as they previously played Germany on Thursday. It was a 0-0 then, but this time France made sure they won their first match in front of their fans as world champions. It was mostly a dominant performance against Netherlands in a 2-1 win and Paul Pogba was once again important player for Didier Deschamps’ team. He was part of their usual 4-2-3-1, playing next to N’Golo Kante, behind Antoine Griezmann. It was, however, Mbappe and Giroud that scored the goals for an important win, while Pogba did well for his national team once again. He played full 90 minutes. In the last match this weekend where Manchester United had their players on the pitch, Eric Bailly was part of Africa Cup of Nations’ qualifiers. His Ivory Coast visited Rwanda as part of the qualifying Group H and won it 2-1. Goals were scored by Jonathan Kodjia and Max Gradel, while Bailly played in central defence for the entire 90 minutes. Man United centre-back also earned a yellow card late into the match. This was Ivory Coast’s second match in qualifiers and now they have three points, as many as Central African Republic, while Guinea is leading the pack with two wins. Among other matches, Argentina beat Guatemala 3-0 in a friendly match on Saturday, but Sergio Romero remained on the sidelines for the whole match.